In connection with characters, I’d like to ask something. Have you prepared something special this time for that certain green someone ? Of course! He gets special treatment by our team, too. Right. (laughs) What is it? A little before your announcement of The Year of Luigi17 via Nintendo Direct, I was testing an NES game on Wii U. It was only a test, but it just happened to be Mario Bros18.17. The Year of Luigi: It has been 30 years since Luigi made his first appearance in 1983 in the arcade game Mario Bros. In an edition of Nintendo Direct released on February 14th, 2013 called “Nintendo 3DS Direct”, Satoru Iwata appeared wearing a Luigi cap to announce 2013 as The Year of Luigi.18. Mario Bros.: An action game released by Nintendo as an arcade game and for the Nintendo Entertainment System (NES) in 1983. Oh, the very origin of Luigi! Luigi Bros. I rewrote the programming for everything myself – from the characters to the title. When you play it in two-player mode, player one gets the modern Luigi colour and player two gets the classic colour that’s true to the era, so you can create a duel of new and old Luigis. You went that far? How do you get to play that? As with Rosalina, after you reach the ending once, it appears on the title screen so you can play it. But if you have save data for New Super Luigi U19, you can play it from the start.19. New Super Luigi U: Add-on content for the New Super Mario Bros. U game made available for download from Nintendo eShop on Wii U in June 2013. In July, it was released as a packaged game which will only be distributed by Nintendo during 2013.
hidden pixel Luigis here and there. It’s fun to find them, so I hope players will look for them. Well, Mario Bros. is without a doubt the origin of multiplayer Super Mario. Indeed. Cooperation and mutual interference mix within the same stage. That is the model for all kinds of multiplayer gameplay. SUPER MARIO 3D WORLD’s multiplayer mode has gameplay somewhat similar to that. When you clear a course, the player who came in first receives a crown. A player who reaches the goal on the next course while wearing the crown gets a bonus. a battle breaks out over that crown . The interplay between interference and cooperation changes along with each player’s intentions and situations. Yeah. 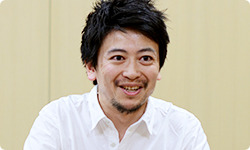 When we were testing multiplayer gameplay, I couldn’t help but say, “Hayashida-san! This is like Mario Bros.!” And it literally is! I was shocked. It’s the same game, but gameplay completely changes. This time, the player-characters have different abilities, so the competition begins when selecting characters! But there’s also a random button that randomly assigns characters before each course. Oh, it automatically assigns characters? Right. Anyone can hit the random button, so it’s a handy feature in multiplayer mode. (laughs) I bet that really brings out one’s personality – the choice between cooperating with everyone or getting in their way. A complicated psychological battle unfolds outside the screen. 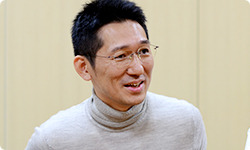 But as Miyamoto-san mentioned earlier, there are ability differences between the characters, as well as random character assignment, so it doesn’t force bitter competition. It’s open to competitive gameplay, but it isn’t requisite. Gameplay changes depending on each player’s style. That is a similarity with Mario Bros. when it comes to enjoying multiplayer gameplay. Well, among us developers – who are used to it – a battle for the crown is inevitable. Right before the goal we’d always get into little skirmishes! battle over the Double Mario power . You can do a Ground Pound to steal someone’s double power and pull off a sudden reversal of fortune! Is the random selection available in single-player mode as well? I’ve played it alone using random selection, and the randomness is surprisingly fun. You’re like, “Huh? I’m going to play with this? !” When you play with a character you usually wouldn’t use, you make new discoveries. That is one way to enjoy it. What? You can carry it? Yeah! (laughs) It will eat enemies or obstruct other players. If you put a box on your head you can make use of all sorts of mechanisms. Cannon Box . If you put it on and walk, it fires all on its own. It’s strong, but it will shoot other player-characters, too. (laughs) Now that’s bothersome headwear! Yeah! If you beat certain Goombas, they’ll drop a Goomba Mask. Wearing it stops Goombas from noticing you. 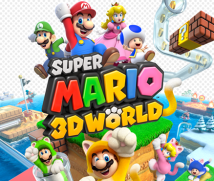 That’s an idea that has come up every time we made a 3D Super Mario game, and now, after five, six years in reserve, we’ve finally done it!